Genuine peridot earrings, in solid 14K yellow gold. The natural peridot stones sourced from Arizona are 5mm in diameter, approximately 1.00 carat total weight. The 14K gold mountings are solid, cast mountings rather than just stamped. 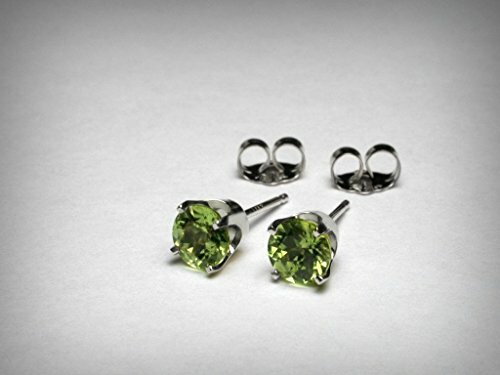 Perfectly matched stones, peridot stud earrings, set by hand in the USA. Gift boxed. If you have any questions about this product by Pristinity Jewelry, contact us by completing and submitting the form below. If you are looking for a specif part number, please include it with your message.